Here are some upcoming Japanese magazine freebies. The release dates listed below are for Japan so please check directly with Kinokuniya if you wish to know when they will arrive in Singapore. Kino's air shipments usually arrive on Wednesdays and Fridays. 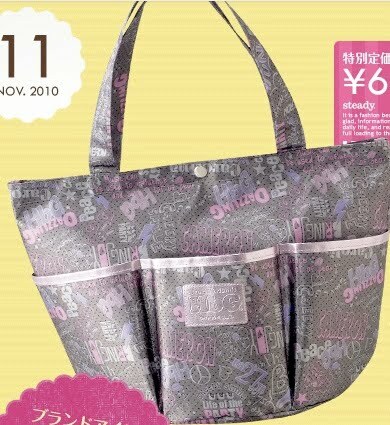 Steady (7 October): November issue comes with HbG tote bag measuring 25.5x38x24cm. Watch the video clip here. 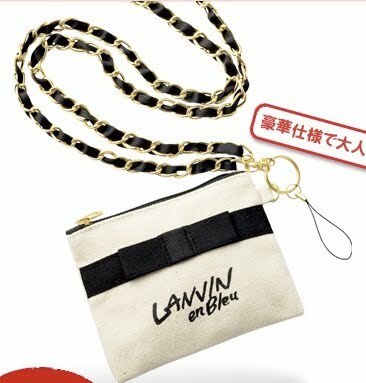 InRed (7 October): November issue comes with Lanvin en Blue chain strap and mini pouch. The chain is 1.1metres long and the pouch measures 12.5x10cm. Watch the video clip here. 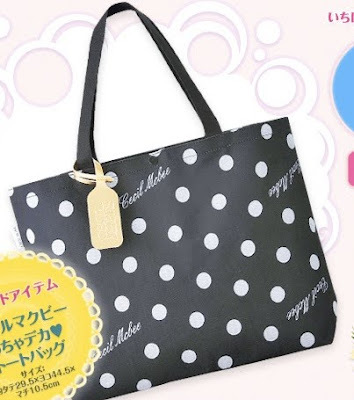 Cutie (12 October): November issue comes with Cecil McBee bag measuring 29.5x44.5x10.5cm. Watch the video clip here. 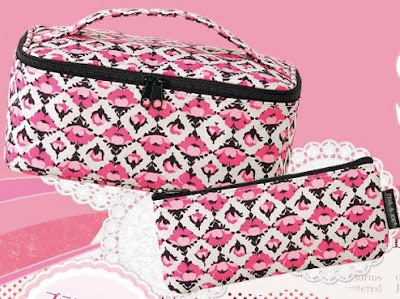 Sweet (12 October): November issue comes with Paul & Joe Beaute makeup case and pouch. Watch the video clip here. 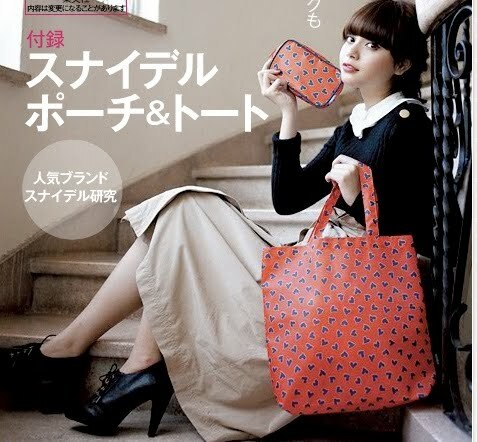 Nonno (20 October): December issue comes with Snidel pouch and matching tote. 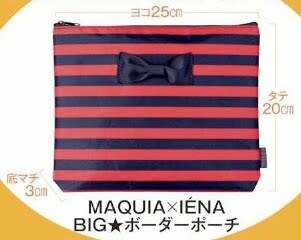 Maquia (23 October): December issue comes with Iena pouch. 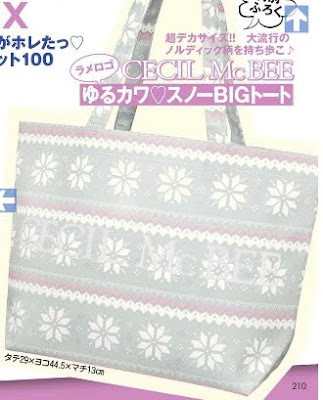 Seventeen (1 November): November issue comes with a Cecil McBee tote measuring 29x44.5x13cm. You can try ASOS.com, Ichibankao.com and beautyhabit.com. I don't know if they ship to where you are though. 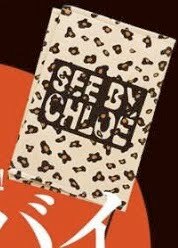 Have my eye on the Paul and Joe makeup case. Hope I'll be able to find it somewhere. Thanks for sharing! I love these posts. i love the makeup cases thank you soo much for sharing. I'm a new follower of your blog. I stumbled upon your blog while searching more info about the Jill Stuart makeup case. After seeing the Paul & Joe makeup case I've got the burning desire to acquire them too! Thanks for sharing otherwise I would have missed these! The HbG bag that comes with Steady looks a lot like the one from earlier this summer, that came with the HbG 2010 Summer "Stupid Army" Mook. Is it the same one?